Sinus lift surgery is done when there is not enough bone height to fix one or several implants in the upper rear sections of the mouth. 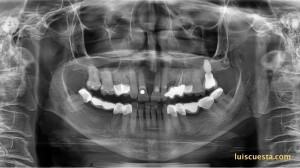 This case shows the placement of four implants on the left side, upper and lower, simultaneous to the sinus lift. the placement of the lower implants is reviewed in another article. 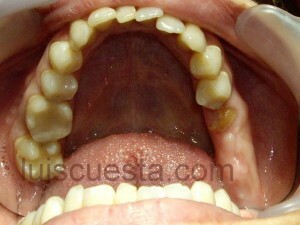 Several years without teeth on this side has completely altered the occlusal plane compared to the other side . 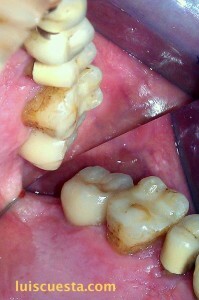 I open a flap on the gums big enough to approach the bone I want to treat. 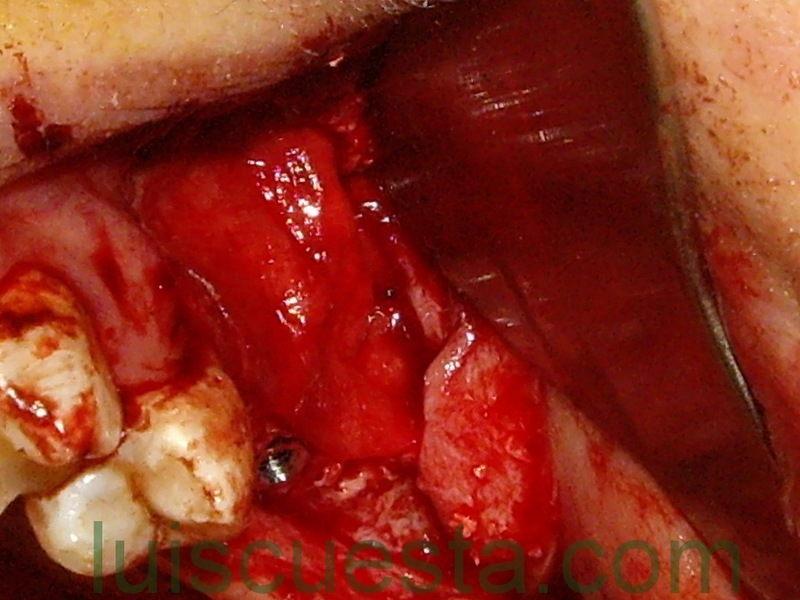 The first approach is to drill and expand the crestal bone. Ostetoms are pushed carefully in to prevent the thin membrane that covers the inner side of the from breaking. This gives to signals. One is the bone density. 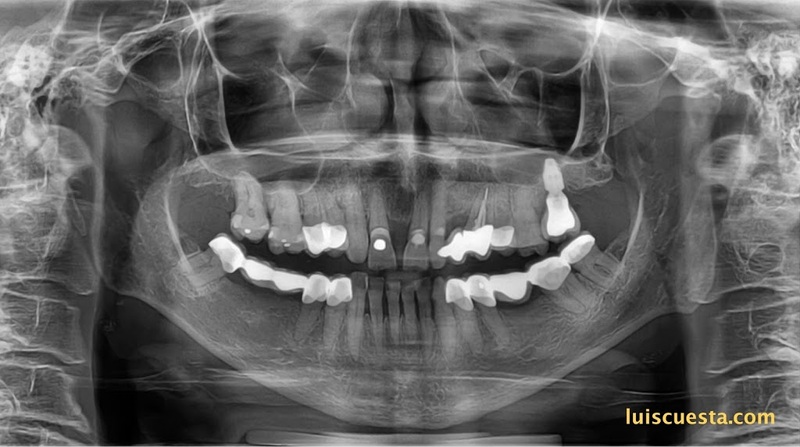 The other is the bone height to the maxillary sinus. 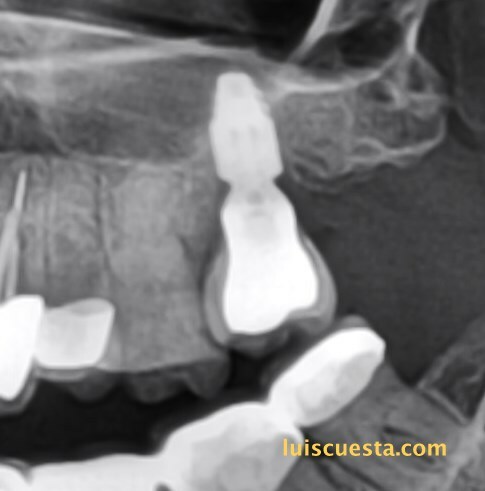 If height, width and density are estimated to be enough as to stabilize the implants, as well as the bone graft, the graft can be introduced through these drillings and no further surgery is needed other than placing the bone graft and the implants. 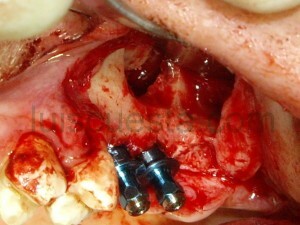 So, I decided to lift the sinus membrane also laterally and insert the maximum bone graft material. 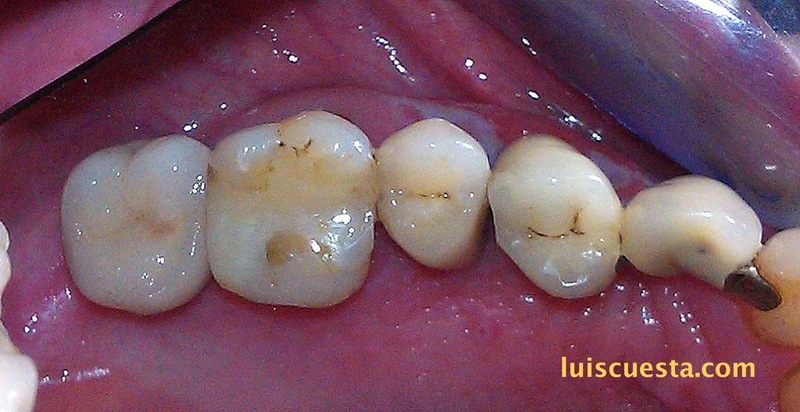 A lateral window is open by drilling extremely carefully, not to break the membrane. 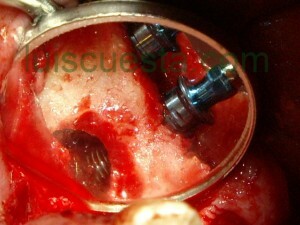 The implants are placed and their stability is checked. Thanks to the window I opened on the bone, the thread of the implants can be seen laterally. 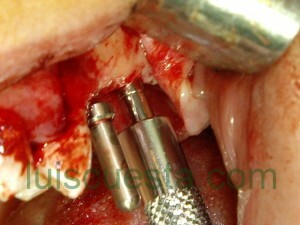 I place the graft around the screws inside what used to be just air a few minutes before. 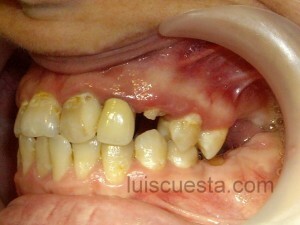 The graft is made of lyophilized animal bone and some minerals. The body uses these graft material to crate self bone progressively. It takes about six months for this new generated bone to have enough strength to support load. The lateral wall of the sinus is now folded up and above the implant threads, becoming the “ceiling” of the graft. Now we need another “wall” to close the “window” I opened and avoid the graft falling out and being reabsorbed without creating new bone. 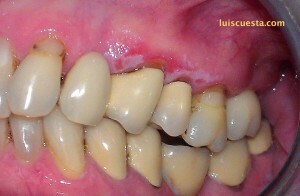 This is done by placing a resorbable collagen membrane over the lateral side. 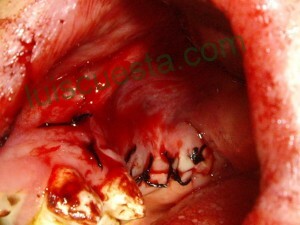 Then, the flap is put back in place and stitches are used to close. They will be removed after 10-14 days, but the longer, the better, since the flap won’t stick to the membrane as it will stick to the bone. 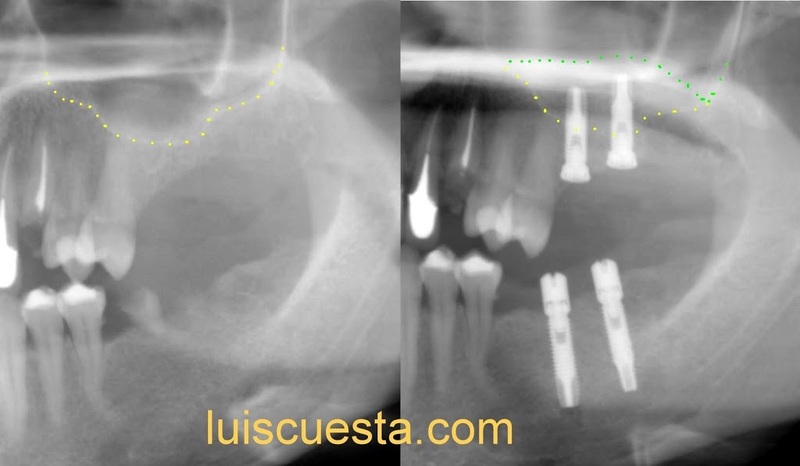 The lower left implants are easily placed a little under the bone margin, to let space for the crown placement, since the occlusal plane is so damaged. This case will need orthodontic treatment to lift the left teeth back in place, using the implants for anchorage. 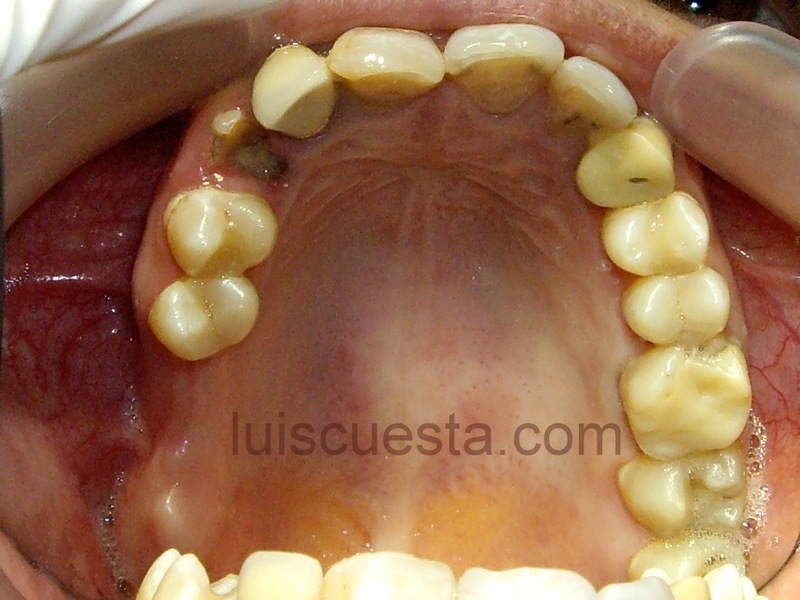 Once the occlusal plane is aligned, the crowns over the implants will be built.